This entry was posted in ,calligraphy,calligraffiti,lettering, how to, Roundhand and tagged arts, Education, Edward Johnston, Lower case. Bookmark the permalink. Very usefull, I can’t wait to begin. The ancient manuscript is very clear and beautiful, where did you find it? Is possible view it in the internet? 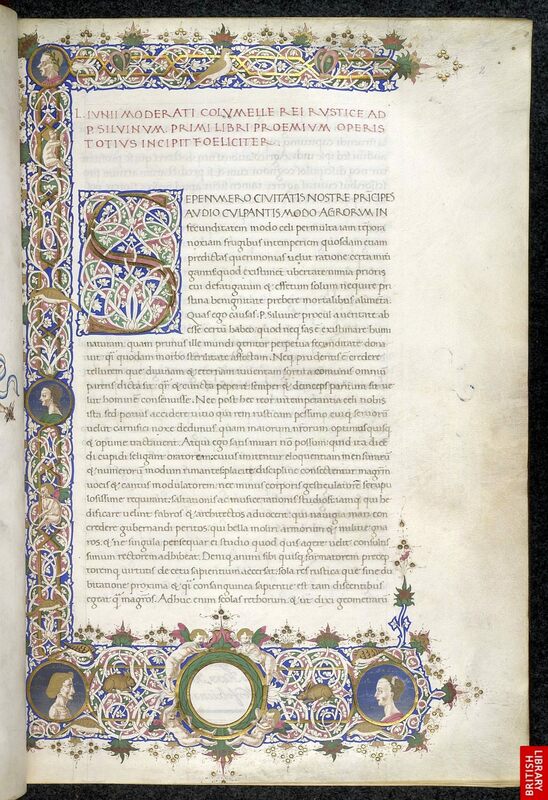 This Ms is from the British Museum. Look for Arundel 81 f.2 on this link. I am sorry the link did not work. I have updated it. Haha! To friends and family I have always been known as Billy. I don’t think I would be able to fill Wembley stadium though. I’m pleased you like this post. Keep practicing. You will soon see results. Thanks for your feedback. Welcome to the world of letters. I hope the lessons help you to get started and keep your interest. Please don’t hesitate to let me know how you are getting on and if you have problems on the way. Hey, completed my roundhand alphabet and just practised writing some family names and they turned out well. Now off to Lesson 2. Thanks im enjoying it!!! Well done. 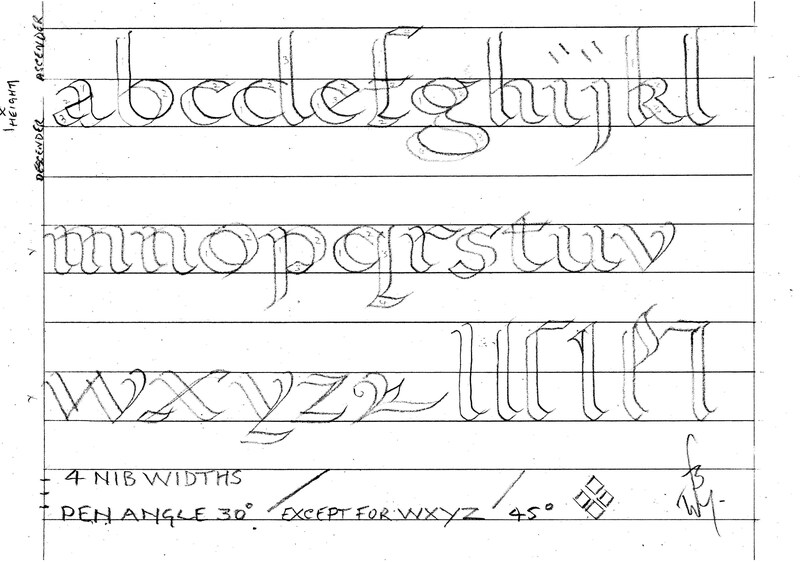 We all have to start somewhere and the roundhand script is the best place. Perfect that and the roman capitals and they will stand you in good stead. As you trawl through these pages you will find quite a few nibs of a larger size. The Mitchell Poster set is a good place to start. You will also find ‘Automatic’ pens in sizes up to one inch, and Pilot Parallel pens of which I would recommend the 6mm size. Other online art suppliers like Scribblers have similar products,including flat brushes. Love this art:) Im going to start…. Thank you Bill!!!!!!!!!! Thank you. I am pleased you have found Bill’s Space of interest. This website is wonderful! So many useful pieces of advice! I just started practicing calligraphy and am looking forward to each lesson. Thank you very much! Thank you, Svjetlana for your kind words. Practice, practice, practice, is the key. thank you for the wonderful worksheets. I was asked to teach a How-to class on calligraphy since I have been using it and practicing for the better part of 25 years. However, when it came down to Breaking it down for people I couldn’t figure out the best way to explain it to people who had seen it, but never done it. Your worksheets are a godsend. Thank you again! My pleasure Athwyn. As with any discipline it is always best to get right down to basics to begin with. Hoping your students have now got the bug. Wow, using the double pencil is genius. Can one use the standard yellow ridged pencils or do you recommend the smooth cylinders I see in the video? I can see how it really highlights correct stroke formation and holding at the right angle. I tried learning calligraphy as a teen years ago and just couldn’t figure it out. My 8 year old asked to learn and I’m online researching to find things. This is just great and I feel more confident in showing her using this method first. Hi Amanda. It’s good to know that youngsters are still being captivated by beautiful letters and that parents are willing to help. The shape of pencil has no bearing whatsoever just as long as the two pencils are firmly held together. You will find that your eight year old gets even more enjoyment from two coloured markers and a large sheet of paper to work on. Perhaps wallpaper? There is a page on the blog especially aimed at teaching the art to children. Good luck. I hope you both continue to have fun with this very rewarding hobby. Cheers! Hello thank you for the awesome content. I like your advice and lessons on calligraphy!